There’s a certain point every year when I just can’t wait for fall. Thanksgiving, Halloween, crunchy leaves, the fresh-smelling wind that contains just a hint of cold; I’m borderline obsessed at this point and so ready to get planning. 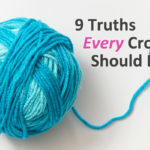 And with Thanksgiving coming up, I’ve been scouring Ravelry for ways to decorate my home and craft unique hostess gifts. 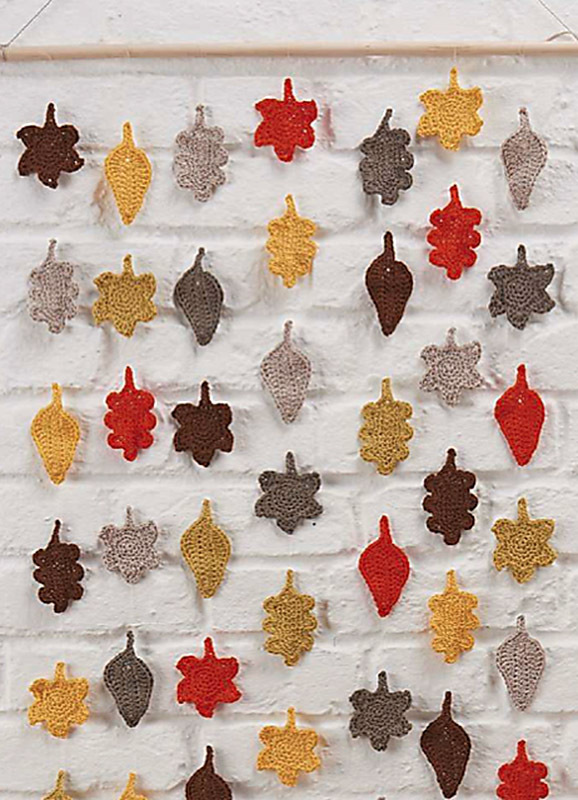 I have gathered my 7 favorite Thanksgiving crochet décor patterns to share with you all. I hope you find at least one thing to add to your yearly traditions. Let’s start at the door because it’s the very first thing that greets your guests. 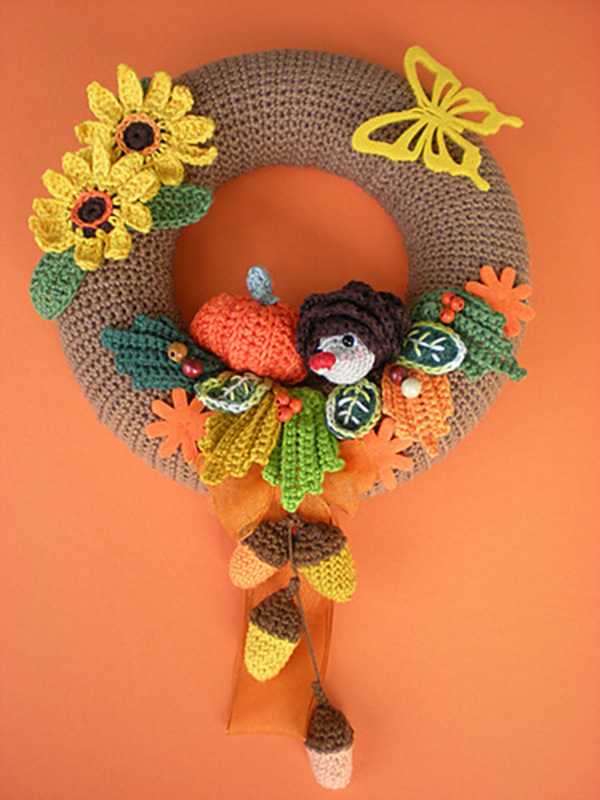 This adorable wreath can set a merry tone for the evening. 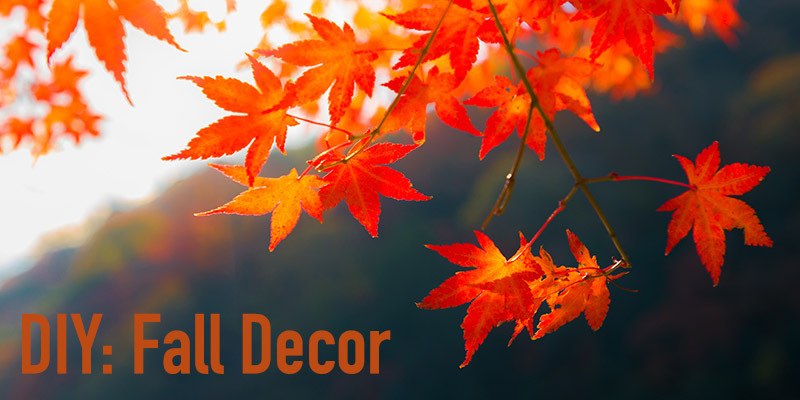 It has everything fall represents—flowers, pumpkins, gracefully aging leaves, cute woodland creatures, and acorns. 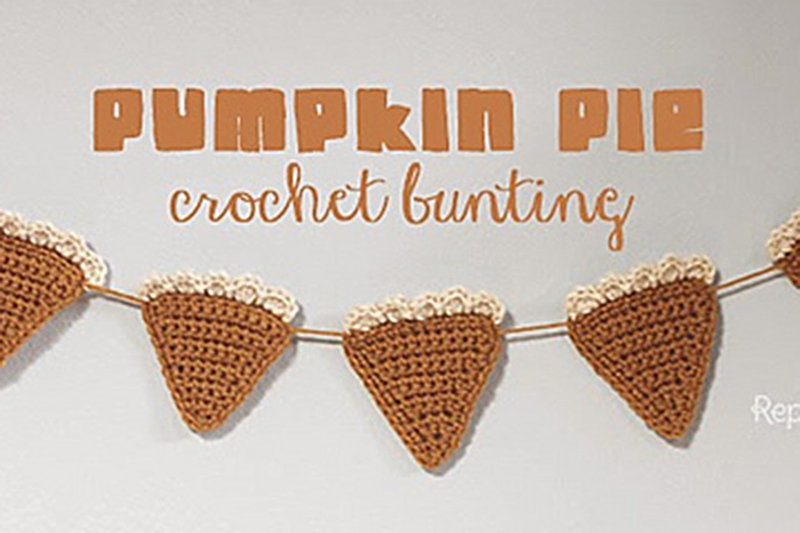 Utilize this tasty bunting for both décor and guest management (aka: make your décor work for you). Guide your guests effortlessly by creating a path to important places in the house—like the coat closet, bathroom, and dining room—by hanging buntings on doors and in the doorframes. Use this pattern to create a beautiful wall hanging or think bigger and provide your guests with a gorgeous photo backdrop for selfies and family photos. Your photo-obsessed family members will thank you. The old-fashioned white tablecloth doesn’t always work well at today’s gatherings. It can add a stuffy formality and create tension when the younger ones inevitably spill on it. Instead, try adding that special feeling with elegant and one-of-a-kind table settings. 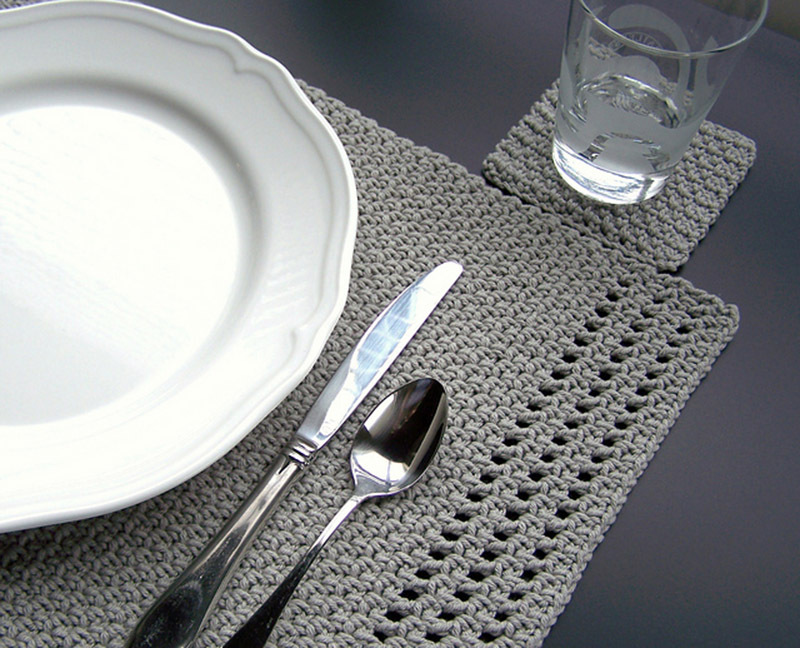 This simple fall-colored placemat is the best way to start building your fall table. Up your table game with real napkins; yes, paper ones are easier but let’s be kind to the earth on a holiday that celebrates all it gives us. Plus, having real napkins takes your table setting up a notch. 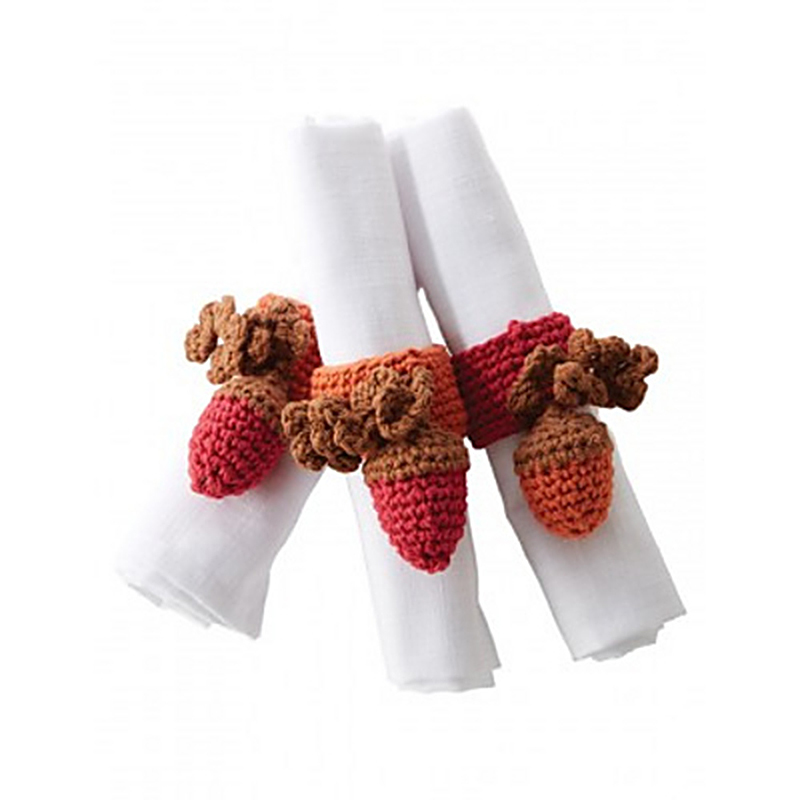 This awesome acorn napkin ring adds new life and more color to your tabletop. One of my favorite parts of big gatherings is getting to see people. But when I don’t speak with these people frequently, I’m hesitant in sitting next to them at the table. I settle into a familiar group and at the end of the evening feel silly saying, “I wish we got to talk more! See you next year!” That is where place cards come in. 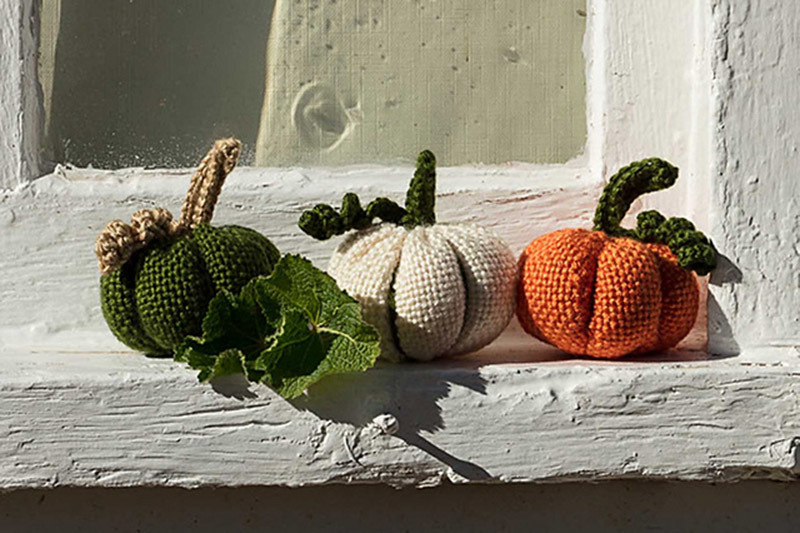 Weave these adorable pumpkins on a pin loom, crochet the stems, and attach nametags with a little bit of hot glue. Set them out on the table beforehand or arrange them all on a table together with a note: “Let’s mix and mingle! Place your pumpkin and claim your spot. Sit next to someone new this year.” Problem solved! You can decorate just about anywhere. 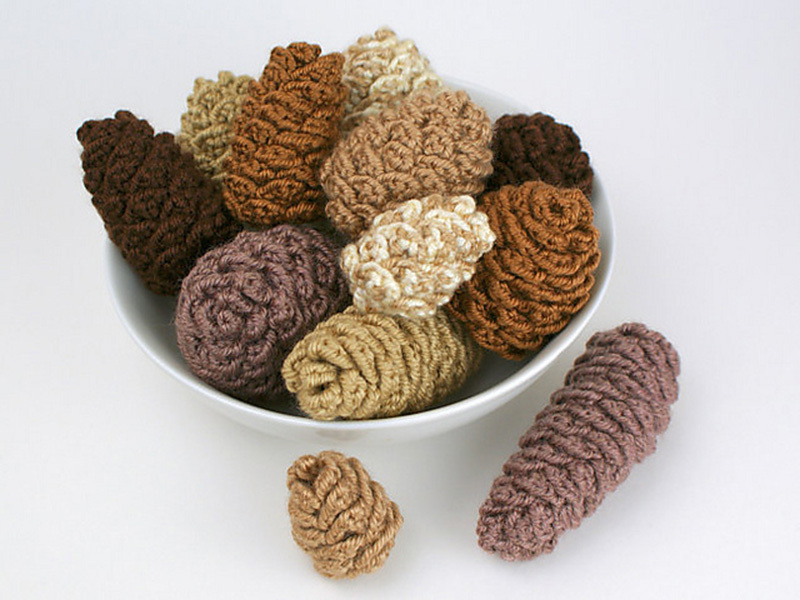 Add these stunning pinecones to your dinner table, bathroom counter, buffet table, or in people’s take-home bags. (I love being able to send people home with extra food as my kitchen doesn’t need half a turkey, a tray of mashed potatoes, and more than one pie.) Make them out of kid-safe yarn and they make great distractions for the little ones while the adults talk. Have all your décor needs been met? Then try these issues for something stunning to wear!